Why Choosing Uncured Bacon Is Healthier For Your Family. Uncured bacon is pork belly that has been preserved without the added chemicals of nitrates and nitrites. 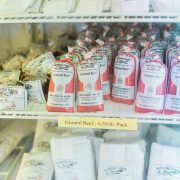 Nitrates and nitrites are used in pork preservation to add color and extend their shelf life. 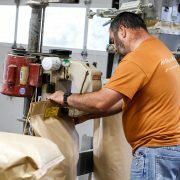 https://sunrisefarm.net/wp-content/uploads/2017/06/SunriseFarm-242.jpg 1067 1600 Sunrise Farms //sunrisefarm.net/wp-content/uploads/2017/10/bg-logo.png Sunrise Farms2019-03-11 10:26:132019-03-11 10:26:13Why Choosing Uncured Bacon Is Healthier For Your Family. We Have Free-Range Turkey On Sale! 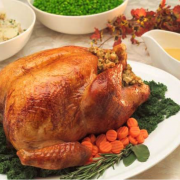 Our turkey is on sale for $3.49/lb.! Pick up your bird from our storefront today. https://sunrisefarm.net/wp-content/uploads/2016/10/Turkey.png 659 829 Sunrise Farms //sunrisefarm.net/wp-content/uploads/2017/10/bg-logo.png Sunrise Farms2019-02-15 08:41:202019-03-01 08:40:08We Have Free-Range Turkey On Sale! Chicken Recipes Your Valentine Will Love. Instead of going out this year for Valentines Day, choose one of our chicken recipes to show your family just how much you love them. https://sunrisefarm.net/wp-content/uploads/2016/09/bigstock-145360988.jpg 1067 1600 Sunrise Farms //sunrisefarm.net/wp-content/uploads/2017/10/bg-logo.png Sunrise Farms2019-02-06 09:57:162019-02-08 10:53:29Chicken Recipes Your Valentine Will Love. 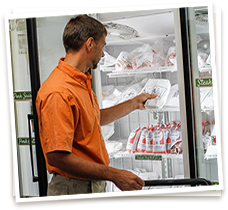 Wholesale Meat Suppliers Offer Superior Products & Competitive Pricing. 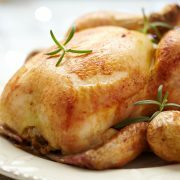 Are you looking for wholesale meat suppliers to provide top notch products at competitive rates? Sunrise Farms is pleased to offer regular delivery to Richmond, D.C., Charlottesville and the surrounding areas at cost competitive rates. https://sunrisefarm.net/wp-content/uploads/2017/01/bigstock-151399247.jpg 1067 1600 Sunrise Farms //sunrisefarm.net/wp-content/uploads/2017/10/bg-logo.png Sunrise Farms2019-01-11 11:32:342019-01-11 11:33:50Wholesale Meat Suppliers Offer Superior Products & Competitive Pricing. 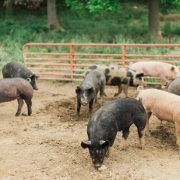 Non-GMO Swine Feed For Healthy Pigs! Taking care of your animals is a farmer’s biggest responsibility. 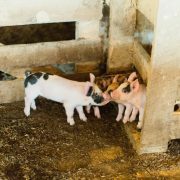 At Sunrise Farms, we think choosing Non-GMO swine feed is an easy choice to make to improve the health and quality of life of your livestock. https://sunrisefarm.net/wp-content/uploads/2016/09/SunriseFarm-259.jpg 800 1200 Sunrise Farms //sunrisefarm.net/wp-content/uploads/2017/10/bg-logo.png Sunrise Farms2018-12-05 10:10:092018-12-10 14:18:20Non-GMO Swine Feed For Healthy Pigs! 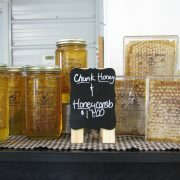 Local Honey Sweetens Every Bake. 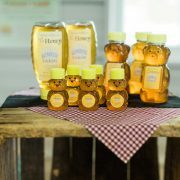 Nothing is sweeter than honey and its diversity of uses makes it a truly unique ingredient. From face masks to the ideal sweetener for your cup of tea, honey is an all-natural product that never goes bad and can be used for so many things. https://sunrisefarm.net/wp-content/uploads/2016/09/SunriseFarm-230.jpg 800 1200 Sunrise Farms //sunrisefarm.net/wp-content/uploads/2017/10/bg-logo.png Sunrise Farms2018-11-05 13:29:502018-11-26 08:40:40Local Honey Sweetens Every Bake. We’re selling two quarters of beef for $3.39/lb. (marked down from $3.59/lb.). 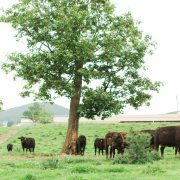 Organic Or Non-GMO Feed? Which Should I Choose? There is a lot of information to consider when choosing between organic or non-GMO feed for your family farm. https://sunrisefarm.net/wp-content/uploads/2018/08/MG_1674.jpg 800 1200 Sunrise Farms //sunrisefarm.net/wp-content/uploads/2017/10/bg-logo.png Sunrise Farms2018-10-01 13:38:202018-10-01 15:06:53Organic Or Non-GMO Feed? Which Should I Choose? 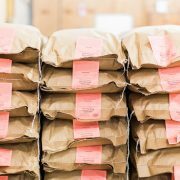 Our wholesale meat delivery service distributes meat, eggs, and honey to restaurants in Virginia, Washington D.C., and Maryland. Feed Fully Explained: Soy-Free Feed Versus Regular Feed. At Sunrise Farms, we’re committed to providing our clients wholesome feed to promote healthy growth in their animals. Soy-free feed is an option we offer to consumers concerned about the levels of soy in the products they consume. https://sunrisefarm.net/wp-content/uploads/2018/08/SF_EVENT_-48-of-298.jpg 854 1280 Sunrise Farms //sunrisefarm.net/wp-content/uploads/2017/10/bg-logo.png Sunrise Farms2018-08-31 13:20:432018-08-31 13:42:32Feed Fully Explained: Soy-Free Feed Versus Regular Feed. Organic Versus All-Natural Meat: What’s The Difference? 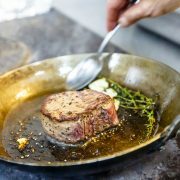 With all the options on the market, it can be confusing and overwhelming choosing between organic and all-natural meat? What’s the difference? https://sunrisefarm.net/wp-content/uploads/2016/09/SunriseFarm-86.jpg 800 533 Sunrise Farms //sunrisefarm.net/wp-content/uploads/2017/10/bg-logo.png Sunrise Farms2018-07-01 09:02:222018-07-23 13:21:40Organic Versus All-Natural Meat: What’s The Difference? We Supply Non-GMO Feed To Farmers And Feed Dealers! 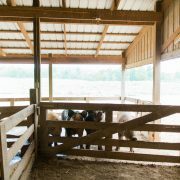 At Sunrise Farms, we believe Non-GMO feed is an excellent source of nutrition for your animals. https://sunrisefarm.net/wp-content/uploads/2016/09/SunriseFarm-59_1.jpg 800 1200 Sunrise Farms //sunrisefarm.net/wp-content/uploads/2017/10/bg-logo.png Sunrise Farms2018-06-13 08:59:402018-07-23 13:15:19We Supply Non-GMO Feed To Farmers And Feed Dealers! 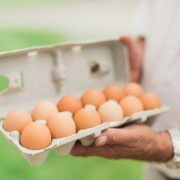 Farm Fresh Eggs Complement A Healthy Lifestyle. Breakfast should be a mix of protein and fiber from whole, natural foods. This gets you on track to start your day in a healthy and productive manner and gives you the energy to get things done! https://sunrisefarm.net/wp-content/uploads/2016/09/SunriseFarm-235.jpg 800 1200 Sunrise Farms //sunrisefarm.net/wp-content/uploads/2017/10/bg-logo.png Sunrise Farms2018-05-14 10:48:352018-05-16 10:42:34Farm Fresh Eggs Complement A Healthy Lifestyle. Local Free-Range Chicken Is A More Nutritious Option. 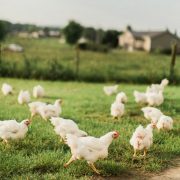 If you’ve read a magazine or newspaper lately, you’ve probably heard people exulting the values of local free-range chicken without mentioning any of the science to back up their claims. https://sunrisefarm.net/wp-content/uploads/2016/09/broilers.jpg 547 533 Sunrise Farms //sunrisefarm.net/wp-content/uploads/2017/10/bg-logo.png Sunrise Farms2018-04-23 14:57:122018-04-23 14:57:34Local Free-Range Chicken Is A More Nutritious Option. 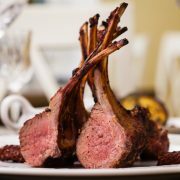 Lamb has been a staple at Easter tables for hundreds of years. Cooked on a spit, roasted in the oven, or even grilled, lamb is an important element of Easter celebrations in almost every culture. It’s the new year and if you’re like most of us you’ve made a resolution to get in shape and eat healthy foods. There are so many elements to maintaining a healthy diet and fads like the Paleo Diet, Whole 30, and the South Beach Diet make it even harder to choose the option that works best for you. 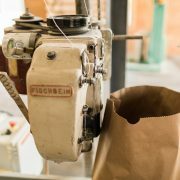 A Ground Beef Primer From Sunrise. 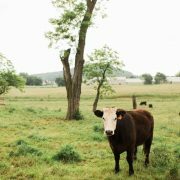 You’ve probably heard the passionate arguments in favor of grass fed beef. Grass fed beef is a term used to describe a cow’s diet of grass only. It may have less fat, and more antioxidants and vitamins than your standard, grain fed ground beef. https://sunrisefarm.net/wp-content/uploads/2017/05/SunriseFarm-261.jpg 1067 1600 Sunrise Farms //sunrisefarm.net/wp-content/uploads/2017/10/bg-logo.png Sunrise Farms2018-02-02 09:16:452017-12-15 10:26:01A Ground Beef Primer From Sunrise. Our pork sausage is marked down from $4.99/lb. to $3.59/lb.! 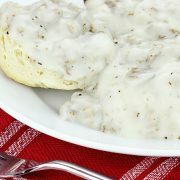 https://sunrisefarm.net/wp-content/uploads/2017/12/bigstock-Biscuits-And-Gravy-34357913.jpg 1062 1600 Sunrise Farms //sunrisefarm.net/wp-content/uploads/2017/10/bg-logo.png Sunrise Farms2017-12-13 16:18:412017-12-15 11:21:36Pork Sausage Sale- $3.59/lb. Paintings from the Stone Age depict humans using honey to treat a variety of ailments. Modern scientific studies have shown honey to be an effective element in healing wounds, minimizing inflammation and gastrointestinal distress. https://sunrisefarm.net/wp-content/uploads/2017/11/IMG_4562.jpg 3000 4000 Sunrise Farms //sunrisefarm.net/wp-content/uploads/2017/10/bg-logo.png Sunrise Farms2017-11-06 09:20:212017-11-06 09:20:21Honey For Your Health. Treat Your Family To A Fresh Turkey! 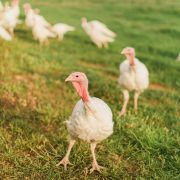 Our turkeys have been running around all season, eating grubs and non-GMO feed to fatten up for your Thanksgiving table. These delicious birds are more nutritious than your average supermarket bird because of the diversity of their diet. https://sunrisefarm.net/wp-content/uploads/2016/10/Turkey.png 659 829 Sunrise Farms //sunrisefarm.net/wp-content/uploads/2017/10/bg-logo.png Sunrise Farms2017-10-02 09:08:012017-06-05 09:28:54Treat Your Family To A Fresh Turkey! 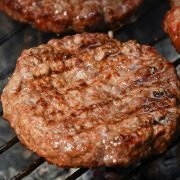 All-Natural Grass-fed Ground Beef – Now On Sale ($4.99/lb) At Sunrise Farms Storefront in Stuart’s Draft. Come get yours while it lasts! At Sunrise Farms, we raise our Berkshire pork Cross swine the old fashioned way. With plenty of land to roam and giant, long lasting mud holes in which to play, our hogs are happy and healthy. https://sunrisefarm.net/wp-content/uploads/2017/06/SunriseFarm-242.jpg 1067 1600 Sunrise Farms //sunrisefarm.net/wp-content/uploads/2017/10/bg-logo.png Sunrise Farms2017-08-01 08:46:352017-09-08 10:12:11Hogs Are Healthiest Outside! 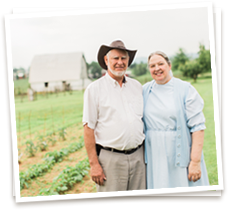 Sunrise Farms Mills Non-GMO, All Natural Feed For Farms Throughout The Continental U.S. Feeding your animals a complex diet provides all the nutritional requirements necessary to grow healthier animals. At Sunrise Farms, we believe clean, great smelling grains from reputable farms is the first step to providing the sustenance necessary for animals to thrive. https://sunrisefarm.net/wp-content/uploads/2017/05/SunriseFarm-261.jpg 1067 1600 Sunrise Farms //sunrisefarm.net/wp-content/uploads/2017/10/bg-logo.png Sunrise Farms2017-06-01 08:35:552018-07-16 15:59:53Sunrise Farms Mills Non-GMO, All Natural Feed For Farms Throughout The Continental U.S.
Sunrise Farms Has Fresh Free Range Chicken. 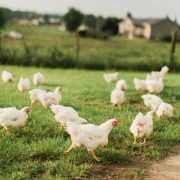 At Sunrise Farms, we believe strongly in the health benefits of allowing our chickens to roam freely and forage for their food. It’s healthy for the animal, our family and our customers! https://sunrisefarm.net/wp-content/uploads/2016/09/whitechickens.jpg 621 534 Sunrise Farms //sunrisefarm.net/wp-content/uploads/2017/10/bg-logo.png Sunrise Farms2017-04-26 12:25:042017-06-07 10:32:31Sunrise Farms Has Fresh Free Range Chicken. 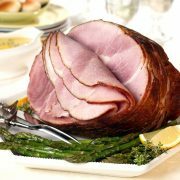 Celebrate the Holidays with All-Natural Ham! https://sunrisefarm.net/wp-content/uploads/2016/12/bigstock-Dinner-Festive-4350476.jpg 1600 1563 Sunrise Farms //sunrisefarm.net/wp-content/uploads/2017/10/bg-logo.png Sunrise Farms2016-12-03 17:23:382017-09-11 09:15:45Celebrate the Holidays with All-Natural Ham!